With higher education costs rising each year, more and more students are starting to feel the pinch of their future goals on their pockets. To help alleviate the burden, students are recommended to apply to as many scholarships as possible, even though competition is stiff for some of the nation’s most coveted awards. To assist with your search, our team curated a list of scholarships that are targeted towards multicultural women of African and Latin descent who are enrolled as undergraduate and graduate students in a variety of academic disciplines. All scholarships are separated by category and include information in regards to the total award amount and general application date. If there are any that you think we should add to the list, please feel free to let us know — sharing is caring! Unless otherwise stated, all minority scholarships are applicable to women from underserved ethnic groups, including African Americans, Hispanics, Native Americans and Asians. This is a scholarship opportunity for women (*or gender non-conforming individuals) of color who are actively working to change the world. Applicants must be young women of color who are currently enrolled or who will begin college/university in the spring semester of 2017. Apply here. Female art students in the New England states may apply for the Blanch E. Colman Trust Scholarship. In addition, the Blanche E. Colman Foundation offers annual grants to New England Artist Women who have completed their formal education (post-graduates) and have exhibited considerable talent in the area of painting, sculpture, drawing, printmaking, mixed media and photography. Artists in film, performance art, video and crafts are not eligible to apply. For more information contact the foundation using this information. Two scholarships are offered annually by the NSAL for students ages 16-22: the Naomi Rabb Winston Scholarship in Art and the Shirley Rabb Winston Scholarship in Classical Voice. Both scholarships must be used for private study, special training, or personal advancement in the applicant’s art medium or vocal career; this may include workshops, voice teachers, summer programs, etc., but may not include college tuition, housing, or travel. NSAL Chapters select students each spring to compete at the national level, where as many as eight to ten scholarships are awarded. Apply here. This memorial scholarship is from the Young Singers Foundation. It is awarded to students focusing on a vocal music education and is solely for full-time students. Specific vocal and academic criteria apply. Learn more here. The John Lennon Scholarships are an annual competition open to student songwriters and composers of contemporary musical genres including alternative, pop, rock, indie, electronica, R&B, and experimental. Over the past eighteen years, more than $360,000 in scholarships has been awarded to talented young musicians from colleges and universities throughout the United States, making this award one of the nation’s most esteemed accolades for emerging songwriters. Apply here. The foundation’s goal is to increase diversity in the creative professions and to foster social and environmental responsibility in the artists, designers, and studios of tomorrow. Scholarships are given to undergraduate or graduate art students from minority or economically disadvantaged backgrounds to help them realize their artistic dreams but also give back to the community. Apply here. The WIF Scholarship Program offers women of all ages and backgrounds the opportunity to launch careers in film, television, communications, and new media, by awarding scholarships to female students at major film schools in the Los Angeles area and other parts of the country. The scholarship program strengthens Women In Film’s mission to ensure that female voices are heard and to provide a dynamic, vital link to the bold voices of the future. Learn more here. This scholarship is designed specifically for college and university students training to become elementary school teachers. Juniors, seniors, and graduate students who have declared an elementary education major are invited to apply. They should submit a personal narrative about why they want to teach and what will make them excellent teachers. Apply here. The Minority Doctoral Assistance Loan for Service Program was enacted to increase the number of ethnic minorities and women available to teach engineering, physical or life sciences, mathematics, and other academic disciplines in which ethnic minorities or women are demonstrably underrepresented in New Mexico Colleges and Universities. Doctoral students must want to secure a faculty position at public university in New Mexico. Apply here. The Dissertation Fellowship Program seeks to encourage a new generation of scholars from a wide range of disciplines and professional fields to undertake research relevant to the improvement of education. This highly competitive program aims to identify the most talented researchers conducting dissertation research related to education. Apply here. This scholarship is for women seeking a career in computer science and/or computer programming, a field they are highly underrepresented in. The scholarship will be awarded to a female student who demonstrates a passion for computer science and is actively seeking opportunities for a meaningful career in the industry. Apply here. The goal of the program is to create a stronger pipeline of diverse STEM professionals, particularly into the field of fossil energy. Selected candidates have the opportunity to train under program officials and scientists that are associated with projects by the Office of Fossil Energy. The stipend covers 10 weeks of research and includes housing and a travel allowance. Apply here. CGTrader is the largest 3D model marketplace backed by the strong designer community of more than 500k members. CGTrader was founded with the goal to ensure fair marketplace conditions for 3D designers.Each semester CGTrader challenges students to dig into the field of technology writing an essay on how innovative technologies are transforming our lives. Apply here. The QASymphony Software Testing Scholarship was created to help students interested in software development/testing reach their goal of attending college or university. Each applicant will be asked to submit a short (min 500 words) essay about why software development and/or software testing is important. Apply here. The ASM Undergraduate Research Fellowship (URF) is aimed at highly competitive students who wish to pursue graduate careers (Ph.D. or M.D./Ph.D.) in microbiology. Students will have the opportunity to conduct full time research at their home institutions with an ASM member and present research results at ASM Microbe the following year. Apply here. The National Oceanic and Atmospheric Administration (NOAA) provides financial support to female and minority master’s and doctoral students that are studying marine biology, oceanography, and other science, engineering and social science disciplines there focused on the coastal regions. Masters students are eligible to receive support for up to two years and doctoral students can receive funding for up to four years. Apply here. mentor in the same field who will offer guidance and support. Apply here. The National Institutes of Health (NIH) Undergraduate Scholarship Program (UGSP) offers competitive scholarships to students from disadvantaged backgrounds who are committed to careers in biomedical, behavioral, and social science health-related research. Apply here. Applicants for the Stan Beck Fellowship must be graduate or undergraduate students in entomology or related disciplines at colleges or universities in the United States, Mexico, or Canada. They should also have some sort of need, either based on physical limitations or economic, minority, or environmental conditions. Apply here. The American Institute of Certified Public Accountants established the AICPA Scholarship for Minority Accounting Students to provide funds for deserving students. The Center for Scholarship Administration, Inc. (CSA), a non-profit, independent organization is the administrator of the program. Apply here. The Mae and Mary Scholarship is funded by the Mae & Mary Legacy Foundation, Inc., a charitable organization dedicated to the advancement of African Americans pursuing careers in medicine and healthcare. Learn more here. This scholarship is awarded to African American, Hispanic,Native American or female undergraduate and graduate students attending college for at least one academic year and who are studying computer science or computer engineering specifically. Apply here. This scholarship is awarded to students pursuing computer science, science, technology, engineering, or math concentrations, and who reflect academic success, leadership, passion for technology, and who are minorities (African Americans, Hispanics, and people with disabilities). Learn more. The goal of the foundation is to increase the participation of African-American post-secondary education. Candidates must be a graduating senior, current college student or returning adult student with a minimum 3.0 GPA, pursuing a degree in Veterinary Medicine or Veterinary Technology. Apply here. Brown and Caldwell supports diversity in the STEM field by closely aligning with Society of Women Engineers, National Society of Black Engineers and the Society for Hispanic Professional Engineers. They also have a Minority Scholarship and LGBTQ Program to help minority groups succeed in the environmental engineering industry. Apply here. The Surety Industry Scholarship Program provides awards outstanding minority students to support their studies in the areas of insurance/risk management, accounting, or business/finance and to encourage their consideration of the surety industry and surety underwriting as a career choice. Apply here. The organization’s goal is to inspire bright Latino college students to graduate and succeed through scholarships, internships and leadership development Adelante! Scholarships are available for students in STEM, business, and pre-law or law school disciplines. Apply here. The Elliott C. Roberts Scholarship recognizes graduate student leaders who represent ethnically diverse cultural backgrounds and is named in honor of Elliott C. Robert’s, Sr., one of the nation’s leading public hospital administrators. Apply here. P.L.A.Y. has always made a point to promote compassion towards animals in both our personal and professional lives. There are plenty of young minds out there that are equally passionate about helping animals in need. In an effort to encourage them and promote this cause, P.L.A.Y. awards a scholarship to a graduating high school senior who best exemplifies our core beliefs. Apply here. Hispanic college students pursuing degrees in science, technology, engineering and math (STEM) can apply for through AHETEMS (Advancing Hispanic Excellence in Technology, Engineering, Math and Science), the educational foundation of the Society of Hispanic Professional Engineers (SHPE). Apply here. Gates Millennium Scholars (GMS), funded by a grant from the Bill & Melinda Gates Foundation, was established in 1999 to provide outstanding African American, American Indian/Alaska Natives, Asian Pacific Islander Americans, and Hispanic American students with an opportunity to complete an undergraduate college education, in all discipline areas and a graduate education for those students pursuing studies in mathematics, science, engineering, education, or library science. The goal of GMS is to promote academic excellence and to provide an opportunity for thousands of outstanding students with significant financial need to reach their fullest potential. Apply here. NMF scholarship programs recognize merit as well as financial need. It focuses on awarding medical students that are committed to serving medically underserved communities. Apply here. The SanDisk Scholars Fund supports the educational goals of women, Latino and African-American students pursuing careers in science, technology, engineering and mathematics (STEM) fields. Scholarships are awarded to graduating high school seniors, community-college students, or students already enrolled in a STEM-related course of study. Apply here. The Hispanic Scholarship Fund (HSF) provides financial resources to assist outstanding Latino undergraduates pursuing degrees in the STEM field (science, technology, engineering and mathematics). Apply here. The Udall Foundation awards scholarships to college sophomores and juniors for leadership, public service, and commitment to issues related to Native American nations or to the environment. Apply here. Fulbright offers a number of grants and scholarships to undergraduates and graduate students, with a particular focus on early career research, lecturing and funding the first post-doctoral research that would be vital to your college teaching career. Teaching fellowships are also available. Learn more here. The “Courage to Grow Scholarship” strives to help students achieve their higher education goals. By taking away some of the concerns such as “how will I pay for college”, students can concentrate on their education and focus on the task at hand. You must be a junior or senior in high school or college student with a minimum GPA of 2.5 or better. Apply here. The Luigi Wewege Foundation scholarship was created with the belief that everyone who has a desire to attend, should be able to attend college or university due to higher education becoming increasingly more expensive over the last few decades. Apply here. Compare.com, a car insurance comparison website in the United States, is offering a $5,000 Compare.com Scholarship for one qualified student. This award is for undergraduate study only. Apply here. The Buick Achievers Scholarship Program rewards students who have succeeded both inside and outside of the classroom – and who may not be able to attend college without financial assistance. Funded by the GM Foundation, the Buick Achievers Scholarship Program continues to be one of the nation’s most impactful scholarship programs. Apply here. The Coca-Cola Scholars Program rewards an achievement-based scholarship awarded to graduating high school seniors each year. Students are recognized for their capacity to lead and serve, and their commitment to making a significant impact on their schools and communities. Apply here. Xerox is committed to the academic success of all minority students. They offer scholarships to qualified minorities enrolled in a technical degree program at the bachelor level or above. Apply here. Burger King grants scholarships that are intended to help students offset the cost of attending college or post-secondary vocational/technical school. Recipients are selected based on their grade point average (GPA), work experience, extracurricular activities and community service. Apply here. The Roothbert Fund was created in 1958 by Albert and Toni Roothbert to help men and women in need of financial aid to further their education. The principal focus of The Fund is its Scholarships Program, through which it makes grants for undergraduate or graduate study at accredited colleges or universities. Scholarships may only be applied to study at an accredited institution based in the United States. The Fund seeks candidates who are “motivated by spiritual values,” and works to foster fellowship among them. Apply here. The State Farm Companies Foundation believes all children deserve an education that helps them reach their potential and prepares them for life. The State Farm Good Neighbor Scholarship Program was established to provide financial assistance to fifty high school seniors who plan to attend college, technical, or vocational school, but may not be able to meet the expenses of a higher education without such aid and often do not qualify for other scholarships. Apply here. LPGA Foundation administers several scholarship programs for young women who enjoy the game of golf and plan to attend college in the fall. Qualifications for all scholarships include strong academic programs, community service, and recommendations. Apply here. The Ethnic Minority and Women’s Enhancement Graduate Scholarship were developed by the NCAA Committee on Women’s Athletics and the NCAA Minority Opportunities and Interests Committee. The goal of the enhancement programs is to increase the pool of and opportunities for qualified minority and female candidates in intercollegiate athletics through graduate scholarships. Apply here. Throughout the year, 40 lucky students will be randomly selected to win a scholarship to help with college expenses. Apply here. Scholarship America’s Dream Award is a renewable scholarship fund targeted toward completion. Awards will be given to students entering their second year or higher of education beyond high school, based on the fact that too often scholarships are only offered in their freshman year. Apply here. AXA Achievers are diverse and possess ambition, drive, determination, community respect, and the ability to succeed in college. Each year local branches of AXA Advisors distribute twelve scholarships to local students in their area. You must be a high school senior to apply. Apply here. Catharine Lealtad Scholarships are awarded to African American, Latino, and Native American students who have a strong high school record and are applying to Macalester College. The award is renewable for each year the student is enrolled and granted based on merit. Get more info here. The Marine Corps Scholarship Foundation provides need-based scholarships to the children of Marines and Navy Corpsmen who attend college or career training. Apply here. This program provides undergraduate and graduate college students of Latina decent with scholarships in their academic pursuits.The scholarship is available for students pursuing arts, sciences, public administration/policy, social work, education, and divinity. Apply here. The Jack Kent Cooke Foundation’s scholarship programs are designed to encourage and support outstanding students who work hard and have financial need. Their scholarships provide financial assistance and academic support to high school, community college, undergraduate, and graduate students. A doctoral and graduate arts award are also available. Learn more here. Honoring the legacy and character of our nation’s 40th President, the GE-Reagan Foundation Scholarship Program rewards college-bound students who demonstrate exemplary leadership, drive, integrity, and citizenship with financial assistance to pursue higher education. Learn more here. This foundation that awards scholarships to Puerto Rican students and students that come from low-income backgrounds who are pursuing degrees in undergraduate or graduate programs abroad. Learn more here. This scholarship is awarded to minority high school graduates who plan to earn a Bachelor’s Degree at a college or university; foundation aims to provide all minority students with “equal opportunities,” quoting Jackie Robinson himself on its website stating: “A life is not important except in the impact it has on other lives.” Apply here. This scholarship is awarded annually to African American undergraduate and graduate college students who represent high leadership potential and overall achievement. Apply here. Local Ronald McDonald House Charities® (RMHC®) Chapters, with support from RMHC Global and McDonald’s Corporation (McDonald’s®), offer scholarships to minority students from communities who face limited access to educational and career opportunities. These scholarships are part of the charities’ ongoing commitment to education and are given to top students that exemplify merit and leadership. Apply here. The Paul and Daisy Soros Fellowships for New Americans are for up to two years graduate study in the professions and academic disciplines at any institution of higher learning in the United States. The Fellowships are funded by a trust established by Paul and Daisy Soros and were created in recognition of the contributions of New Americans to American life and in gratitude for the opportunities the United States has afforded to the donors and their families. Apply here. The Reach for the Gold Book Scholarship recognizes academic and benevolent achievement among young women of color, and supports continued success through the first year of college. The Alumnae Association of Omega Phi Beta Sorority, Incorporated awards one scholarship recipient annually. Apply here. QuestBridge is a non-profit program that links high-achieving low-income students with educational and scholarship opportunities at leading U.S. colleges and universities. Focused on first-generation students and individuals from disadvantaged backgrounds, the scholarship program not only funds a student’s full four-years in college, but also provides career and peer networking opportunities across its partner schools. The Scholarship program also provides a college prep scholarship for high school juniors interested in attending summer programs at the nation’s top universities. Learn more here. The Ron Brown Scholar Program seeks to identify African-American high school seniors who will make significant contributions to society. Applicants must excel academically, exhibit exceptional leadership potential, participate in community service activities and demonstrate financial need. Apply here. This program is one of the oldest minority foundation recognized for awarding African American students with $4.5 billion in scholarships and fellowships. Learn more here. This scholarship is awarded to help Native Americans students of any age, any tribe and in any state striving to get an education at the undergraduate or graduate levels. However, undergraduate students are given preference. All awards are judged based on financial need and academic achievement. Learn more here. This scholarship is awarded once a year to one student. A candidate for this scholarship must be enrolled full time at a 2- or 4- year college or university. Applicants must be Native Americans and proof of American Indian blood is required by letter or proof papers. Learn more here. The ABA Diversity Scholarship focuses on broadening the number of traditionally under-represented groups in the management and operation ranks of the transportation, travel, and tourism industry. You must have a declared major relevant to the transportation, travel, hospitality or tourism industry. Apply here. This Scholarship Program is for driven, up-and-coming entrepreneurs who are ready to commit to building a better world through their business ideas. By creating a unique business plan infographic for their scholarship entries young business dreamers can build upon and practice the skills that will be required of them at their post-college jobs. Apply here. The Capital Alliance scholarship was created to help students interested in higher education reach their goal of attending college or university. Interested applicants will have an opportunity to be granted a college scholarship to be used towards higher education expenses. Apply here. Gadget Review is offering a scholarship to creative students that show entrepreneurial characteristics along with a desire for product management, marketing and more. Apply here. Students who are interested in pursing a career in marketing, business, IT or communications may be inerested in this scholarship. This scholarship will be given to U.S. students who write a creative 500-1000 word essay on “digital marketing and its importance in 2017”. Apply here. Les Dames d’Escoffier International is an organization for female leaders in the culinary and hospitality industry. The organization is focused on education and charitable outreach for the culinary and hospitality industry. Apply here. The National Hispanic Business Women Association (NHBWA) is a non-profit organization in Orange County, California established in 1997. NHBWA’s purpose is to empower and encourage women and business owners to develop and increase their business through educational seminars and speakers, by offering mutual support, the sharing of information, business referrals and networking. The Morgan Stanley Richard B. Fisher Scholarship Program is an integral part of Morgan Stanley’s diversity recruiting efforts helping to attract Black, Hispanic, Native American, and LGBT college juniors and sophomores. If selected as an RBF Scholar, students receive a financial scholarship for exceptional academic achievement and a summer internship with Morgan Stanley. Apply here. The National Society of Hispanic MBAs, which exists “to foster Hispanic leadership through graduate management education and professional development,” has established a scholarship program to assist qualified Hispanics to pursue MBAs. Scholarships are offered each year for full- and part-time study at an accredited (AACSB) institution of the student’s choice. Apply here. This scholarship program supports African-American students in their pursuit of an accounting education and the CPA designation. The Herman J. Neal Scholarship is awarded to American accounting students that show significant potential to become CPAs and demonstrate achievement as well as financial need. Please note that this scholarship is administered by the Illinois CPA Society. Apply here. Hispanic Association of Colleges and Universities, or HACU, offers a scholarship program supported by corporate foundations and interests. Scholarships are sponsored by various brands. Apply here. The National Black MBA Association provides financial support to students pursuing careers in business, academia, and related professions. The organization’s mission is to identify and increase the pool of Black talent for business, public, private, and non-profit sectors. Scholarships are available for undergraduates and graduate students. Apply here. Hyatt established this fund in 1988 through the American Hotel and Lodging Educational Foundation (AH&LEF) to provide financial aid to minority students pursing a degree in hotel management. Students must be enrolled in an undergraduate program and do not need a letter of recommendation. Apply here. The National Society of Minorities in Hospitality offer a scholarship to underrepresented students each year. The purpose of the scholar program is to recognize and support minority students who are enrolled in the Hospitality course of studies complete their academic programs by providing scholarship assistance. Learn more here. This scholarship is awarded to students going into their junior year of college and are majoring in Business, Accounting, Computer Science, Marketing, etc. The student must attend a historically Black University full-time. Learn more here. This merit-based scholarship is given to African American, Hispanic American, and Native American students studying business or management at nearly 20 partner business schools. The organization’s goal is to improve diversity in business and top management fields. Learn more here. Minority Fellowship Program applicants can be new or continuing graduate students. However, the MFP is primarily designed for minority students entering a doctoral program in sociology for the first time or for those who are in the early stages of their graduate programs. Apply here. The Ronald E. McNair Post Baccalaureate Achievement Program is a federal TRiO Program funded by the U.S. Department of Education. It is designed to prepare undergraduate students for doctoral studies through involvement in research and other scholarly activities. McNair Scholars are either first-generation college students from low-income backgrounds, or members of a group traditionally underrepresented in graduate education and have demonstrated strong academic potential. You must attend UNC. Apply here. The Truman is a very competitive national scholarship. Each year, the Foundation reviews over 600 applications for our 55 to 65 Scholarships awarded annually. These 600 applications do not include the students who compete on their own campus for one of a school’s four nominations. Apply here. Librarianship is one of the most diverse professions you can find. Today’s librarians are information specialists, Internet guides, educators, public adpministrators, children’s services specialists, reader’s advisors–the choices and career directions are boundless. Spectrum specifically addresses the underrepresentation of librarians of color within the current workforce. Apply here. The Fellowship on Women and Public Policy is a premiere, intensive leadership development, skill building and educational program designed to encourage highly qualified graduate and post graduate women to pursue careers in public policy. More than 300 women have now completed the program and form an extensive alumni network that stretches across New York State, the United States and around the world. Apply here. USIP’s Jennings Randolph Program for International Peace awards non-residential Peace Scholar Dissertation Fellowships to students enrolled in U.S. universities and who are writing doctoral dissertations on topics related to international conflict management and peace building. Apply here. Women and minority (African American, Hispanic American, or Native American) students enrolled in an approved Planning Accreditation Board (PAB) planning program who are citizens of the United States, intend to pursue careers as practicing planners in the public sector, and are able to demonstrate a genuine financial need are eligible to apply for this scholarship. Apply here. This program offers financial support to both undergraduate and graduate students that have interest in becoming foreign service officers. Students are mentored and academically prepared for a career in the U.S. Department of State Foreign Service. Women and minority students that are often underrepresented in this governmental group are encouraged to compete for fellowships. Apply here. This award is presented in memory of the late Dr. Martin Luther King, Jr. to commemorate his belief that progress is best achieved through cooperation rather than conflict, participation rather than partisanship, and compassion and understanding rather than hatred and prejudice. The scholarship is awarded to minority nominees who have demonstrated a need and a willingness to continue an educational mission toward a college education or graduate training related to a career in the criminal justice field. Learn more here. This scholarship opportunity is afforded to Latino students who have a history of performing public service-oriented activities in their communities and who plan to continue contributing in the future. There is no GPA or major requirement. Students with excellent leadership potential are encouraged to apply. Learn more here. The Jeanne P. Gray Diversity Scholarship program was developed to explore ways for the ABA Center for Professional Responsibility to build synergies with national diverse bar associations. The program was developed in memory of Jeanne and her over 30 years of dedication to the ABA and its Center for Professional Responsibility. Each year a national diverse bar association is invited to select a recipient to become a member of the Center’s family and help us explore ways to work more closely together. Learn more here. This scholarship provides a free bar review course and a living stipend to diverse law students who are taking the California bar exam in July. Any diverse 3L who has a deep commitment to social justice and public service, who intends to practice law in California is eligible to apply. Apply here. The personal injury law firm located in Southfield, Michigan represents victims of car accidents, motorcycle accidents, medical malpractice cases, nursing home neglect cases, dog bite injuries, and all other personal injury accident matters throughout the entire state. The scholarship has been created as part of Buckfire & Buckfire’s continued commitment to build on the promise of diversity within the workplace, community and society. Apply here. The National Association for Law Placement has a collective of scholarships and summer associate programs for outstanding multicultural law school students. Learn more about the awards and opportunities here. The Sidney B. Williams, Jr. Intellectual Property Law Scholarship is administered by the Thurgood Marshall College Fund. It is renewable for up to three academic years that the student is enrolled in law school. Apply here. The Jacqueline Woodson Fellowship for a Young People’s Writer of African or Caribbean Descent is offered once annually to a writer of African or Caribbean descent starting the Solstice Low-Residency MFA in Creative Writing Program during the winter residency/spring semester. This scholarship is only available to students attending Pine Manor College. Learn more here. Proof-Reading.com was established to meet the growing demand of business document editing. The business world is a highly competitive marketplace; business professionals need to present their clients with the highest quality services and products. Apply here. The LAGRANT Foundation annually provides scholarships to undergraduate and graduate students who are attending accredited institutions and are pursuing careers in the fields of advertising, marketing, communications or public relations. The scholarship also covers a trip to the yearly awards ceremony which includes career-building and networking opportunities for LAGRANT scholars. Apply here. The Leonard M. Perryman Communications Scholarship for Racial Ethnic Minority Students awards a scholarship for undergraduate study of religion journalism or mass communications. It recognizes of the work of Leonard M. Perryman, a journalist for the United Methodist Church for nearly 30 years. Apply here. The National Press Club, a professional organization for journalists, is looking to solve the diversity problem in newsrooms by utilizing its scholarship program as talent recruitment pipeline. The scholarship is renewable for three years at $2,500 per year. The first-year scholarship also includes a $500 book stipend. Apply here. The program, sponsored by the Freedom Forum, provides internships, training and scholarships to college students of color who are pursuing careers in print journalism. Internships are also offered in Spring and Summer. College juniors, seniors or recent graduates with majors in journalism or career goals in newspapers are eligible. Apply here. This scholarship is open to any African American student who is currently attending an accredited four-year university and interested in a career in journalism. The student must also have a passion for community service. This scholarship is administered by the National Association of Black Journalists. Apply here. The Emma L. Bowen Foundation for Minority Interests in Media is a non-profit organization with a mission to create career opportunities in the media industry for youth of color through a program that focuses on scholastic achievement, direct work experience and professional development. Selected students have the opportunity to work within the field of media, earn a salary and receive matching scholarship dollars to help pay for your college expenses. Learn more here. Maria Casalino contributed to this piece. Great list! But we need more scholarships within the field of social work at the Graduate level. I am having a hard time finding scholarships for MSW. Hello What about scholarships for DSW programs? Do you have any information on graduate scholarship for masters in health care administration? As a woman of color who is NOT African American, Native American or Hispanic, it’s kind of really annoying to be “overlooked” and be almost like the forgotten race – when applying for college and grad school. I love that scholarships are being offered for all women of color, but excluding some races is kind of disheartening and disturbing. Hi Rima — we apologize that you feel that you were “overlooked” as a women of color. Although the name of all ethnic groups are not delineated in each scholarship description, several of these scholarships are for women that identify themselves as minorities (including African-Americans, Native Americans, Hispanics, and Asians). If there are any scholarships in particular that you are looking for, please let us know — we would be happy to send you some additional resources or help you in your search. We have updated the post with a note to help guide future readers of this list. We wish you all the best. Please post scholarships that people of color can apply for in the field of education. The lack of minorities in education is dwindling tremendously. Thank you. Yes!! Education or special education! Huge need in Native country. Those are great, and I’m so happy more opportunities are coming up. I’m majoring in psychology, have any scholarships I could apply for surrounding it? Thats the thing I dont see any for psychology either. By any chance any scholarshIp information for Hispanic woman going into graduate MFT program. It would be great to see more scholarships for design students, especially woman of color. I myself am going to school for fashion design. Do you have any information or scholarships for nursing students. I am in my last year of nursing school and I am in need of financial assistance please. Thank you! We need for social science and psychology scholarships. Yes! I’m a social sciences-psychology student. More scholarships for this field would be AMAZING!!!! Bless Up Sista Queens! ✊????? This is an awesome list of scholarships however my question to you is what do you have for older women of color? I did three semesters of Graduate School at UMASS BOSTON in the Education field. My monies ran out and now I’m in limbo. Are there any scholarships for minority women in architecture? Hey There! I wanted to add another- the Girls Who Illustrate Awesomeness scholarship at http://www.nextdayanimations.com/scholarship/ ($750). Is there any psychology scholarships that you may know of for women? Hello! Any suggestions on scholarships or grants for MBA programs with a hospitality concentration? Thanks in advance! Hi I was wondering if there is any psychology scholarships. Great post! Do you know of any engineering scholarships? Do you have any scholarships for nursing students. Do you know any scholarships for Women of Color for Veterinarian schools? Please provide more DPA (Doctoral of Public Administration scholarships. 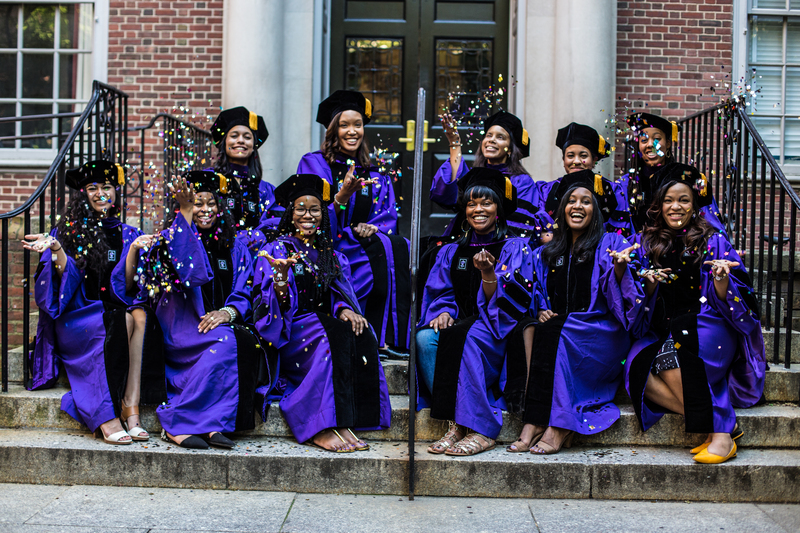 I’m looking for grants for mid-career (not early) African American women seeking doctoral degrees in communications, media, social tech and possibly social sciences. Thank you for your work on this. Amazing notes here we found, I like it and appereciated. No matter what you do someone is not going to be pleased. Thank you for posting this and then taking the extra step to Google additional resources for people. There’s also an app a Black man created that does just this.